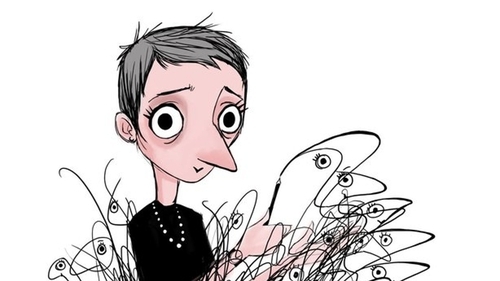 Nora Twomey: "Women were valued for silence rather than words"
We caught up with Irish animator and filmmaker Nora Twomey to discuss her most recent Oscar nomination, the treatment of women in Hollywood and upcoming Animation Festival Kilkenny Animated. Nora Twomey has been nominated alongside Anthony Leo for 'Best Animated Feature Film' at the 2018 Academy Awards. If all goes well, The Breadwinner will take home a little gold statue - an extremely exciting prospect no doubt, but a night at the Oscars is nothing new to this Cork woman. In 2010 her studio’s first feature film, The Secret of Kells, was nominated for an Academy Award and took home the IFTA for Best Animation. In 2015, Cartoon Saloon's Tomm Moore directed Song of the Sea, which earned a second Oscar nomination and won Best Film at the IFTA's. Cartoon Saloon has received an unprecedented third Oscar nomination for Best Animated Feature - what do you think got you to this point? The studio has always attracted creative animators and artists who value storytelling and the freedom that comes with making independent animation. We've always been interested in telling stories that have heart and depth. Stories that challenge and stretch in ways that we're not used to seeing with animated films. Being led by story, characters, and strong design sensibilities helped our films to get noticed. But we've also received a lot of help and guidance from the Irish Film Board, Enterprise Ireland, the IDA, RTÉ and our local community over the years. When you have so many people rooting for you, it makes the hard times easier and the good times even better. With Angelina Jolie working as an executive producer, there are high hopes for The Breadwinner. 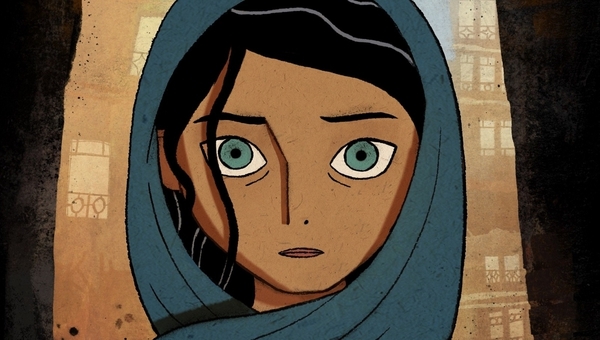 The Breadwinner is based on Deborah Eilis's novel - how did you come across her work and why did you decide it was worth looking at? Anthony Leo and Andrew Rosen, two Canadian producers, met with my partners Paul Young and Gerry Sherrin about five years back. They had the rights to Deborah's book and gave us a copy to read. They had seen The Secret of Kells and felt we would be good creative partners. When I read the book, I immediately felt that the character of Parvana and her love for her family was something that would be amazing to portray through animation. We've always loved a challenge, so putting the pieces together to make this film and do justice to the subject matter was something that we were drawn to. The movie is a female-led story. How does it feel to be a part of that in the era of #MeToo and Time's Up? In my local bookshop, there's a calendar for sale showing Irish writers; Joyce, Yeats, Wilde etc. There are no female writers included, not even Elizabeth Bowen or Peig Sayers. It should strike us as really strange that women were not valued as creative minds and capable voices, but it's not strange at all given how generations of women have been treated. Women were valued for silence rather than words. It will take quite a bit of shaking to loosen it up to the degree that real change happens. Change is necessary and long overdue. Ultimately it will lead to a better working and creative environment for men as well as women, misogyny ultimately hurts everybody. You are in great Oscar company alongside Saoirse Ronan, Martin McDonagh and Daniel Day-Lewis. Do you think Ireland is having a moment in the film industry? Watching people through different times in their careers is quite amazing, seeing how their storytelling matures and changes through their work. Seeing the investment the country has made in the creative industries over the last few decades since the Irish Film Board's formation, and the tax break attracting productions to Ireland is brilliant. On local levels, seeing drama groups, writers groups, festivals and societies and on an international level seeing the recognition for Ireland's creative industry is exciting. For me, seeing the amount of young women coming up through the colleges and into roles in the animation industry means they are going to have a long-term positive effect on the stories we watch on our screens. There are a number of new directors in our studio that I'm looking forward to helping guide as they move forward. Cartoon Saloon is hosting the new Animation Festival "Kilkenny Animated" next month - how did you get involved and what do you have planned? Paul Young in our studio has been advocating for some kind of celebration and exploration of the art of animation, illustration and performance art for many years. It's great that Naoise Nunn and Paul have gotten together to create Kilkenny Animated. There is a base of over 140 animators in Kilkenny and many more visual artists. This year we host a number of high profile international speakers and exhibitors. There's something for everyone which can be checked out at the festival website. When I left school 30 years ago, drawing was not considered a career. To have a festival in Kilkenny that highlights all the challenges and freedoms of the many artistic vocations shows how far we've come and how we now hold a prominent place on the world stage. Why was Kilkenny City chosen? What do you hope people will get from the festival? Tomm Moore, director of The Secret of Kells and Song of the Sea, had been part of an organization called Young Irish Filmmakers, run by Mike Kelly when Tomm was just a teenager. It is an incredible filmmaking group that puts creative freedom, discipline, and equipment in the hands of young people.YIFM let us have a studio room, and managed to get us a grant to start up our own animation studio. Overheads were low, and that meant we could take some more creative risks than if we had set up in Dublin. We had the freedom to create our own characters and stories, rather than relying on work from big multinationals. That, plus the beauty of the city with its medieval castle, river walk and buzzing shops and pubs meant we could attract animators looking for something a bit different. The Kilkenny Animated Festival will take place from Feruary 23rd-25th. Tickets are on sale now!